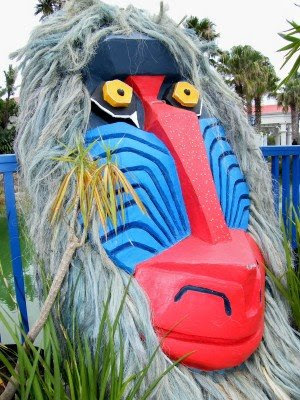 The giant animal masks were part of the decorations at yesterday's proceedings with the Minister of Tourism at the Boardwalk. Today I had the opportunity to be a photographer at an event featuring the Minister of Tourism. For most of the event I used the camera of the company I work for, but I did get a couple of shots with my own one as well. 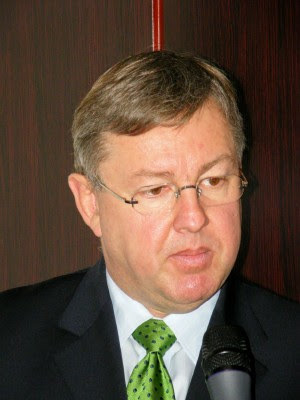 The Minister of Tourism, Marthinus van Schalkwyk, visited Port Elizabeth today to launch Nelson Mandela Bay's 2010 Visitor Information Centres (VICs). 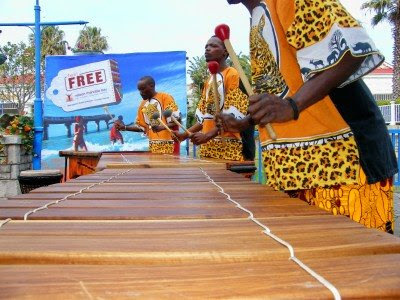 The three world class visitor and tourism centres will form part of the legacy project for the 2010 FIFA World Cup South Africa. 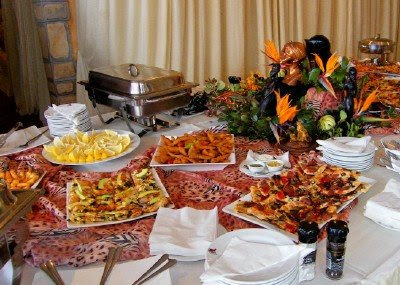 The VIC's are being rolled out in five host cities, namely Port Elizabeth, Polokwane, Nelspruit, Rustenburg and Bloemfontein. 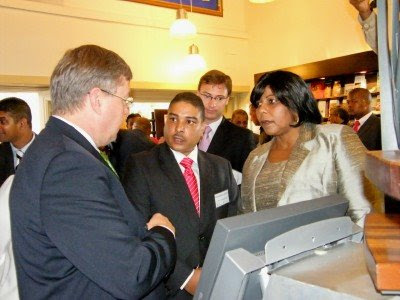 Port Elizabeth's is the first set of Visitor Information Centres to be completed. 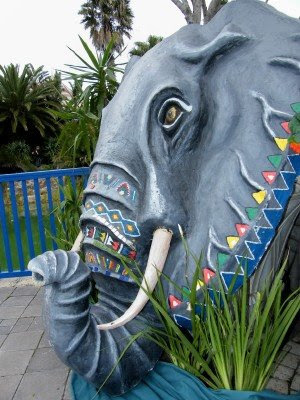 The three centers are situated at the Donkin Reserve, Port Elizabeth Airport and the Boardwalk Casino and Entertainment Centre. Nelson Mandela Bay Tourism also has a fourth VIC in Uitenhage. To read more about the event, visit MyPE for the whole story. 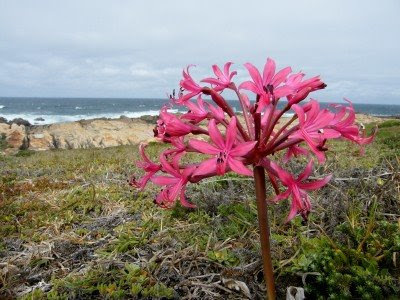 The Candelabra Flower is found in grasslands and is quite wide spread in summer rainfall areas. Unfortunately people pick them in the wild as the flower is quite striking and it never gets a chance to sow its seeds. The flower grows up to 70 centimeters high from a bulb. 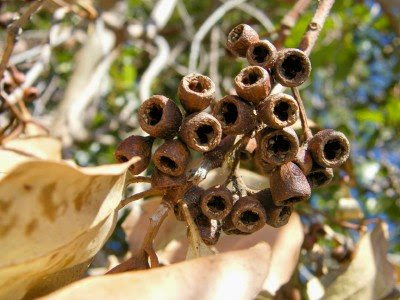 It normally flowers in the summer months where after fruit develops on the tips of the flower stalks. When they dry out they form a tumbleweed and spreads its seeds. 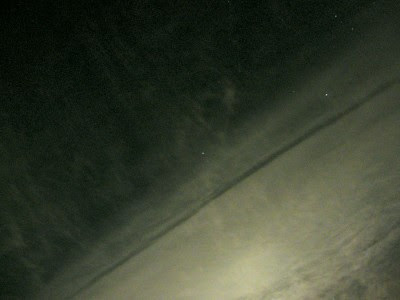 A little while ago I popped outside one evening to pull the car into the garage and saw the most unusual sky. 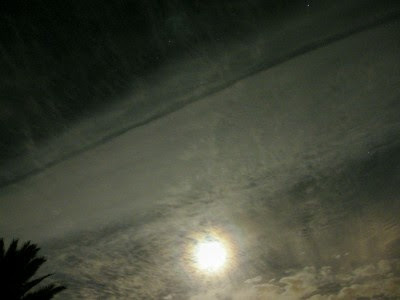 It wasn't quite a big ring around the moon, but rather more a big patch of light in the sky around the moon with the darkness moving in like a cold front. There was a distinct line between the light and dark areas and after about 10 or 15 minutes the light was just about gone. Very strange. So this may not be Maya the Bee (remember her?) 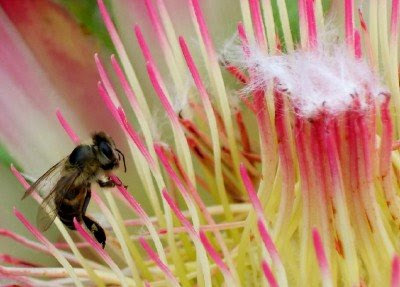 or Bee Movie, but it is a honey bee on a protea. Not much more that I can say than that. The arch bridge over the Storms River in the Tsitsikamma was completed in 1958 and formed a major link in the National Route N2 between George and Port Elizabeth. 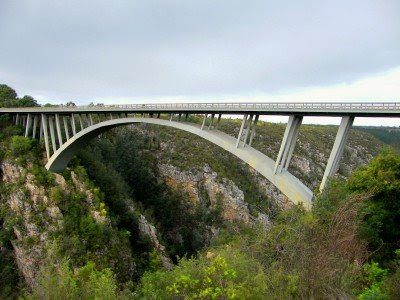 The bridge is one of four great arch bridges crossing the deep gorges of the Tsitsikamma and is about 120 meters high. The river itself is a very short river and is only about 40 km in length. 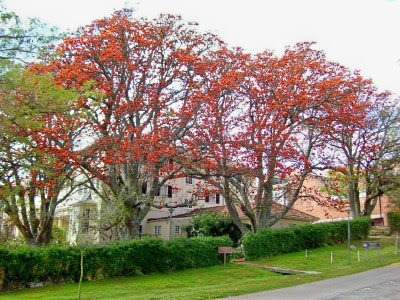 It has a big catchment area in the Tsitsikamma mountains and can rise drastically and come down in flood after the slightest of rain. Hence the name Storms River. Today is the last post on our visit to Kragga Kamma Game Park on Sunday. I got a nice close up of a young blue wildebeest next to the road. There are two types of wildebeest. 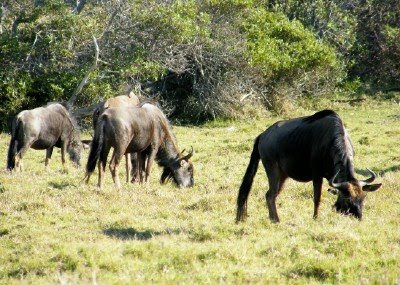 The Blue Wildebeest has a black tail and the Black Wildebeest has a white tail. The blue wildebeest is the common one of the two and is world famous for its huge migration in the Serengeti and Masai Mara game reserves in Tanzania and Kenya. 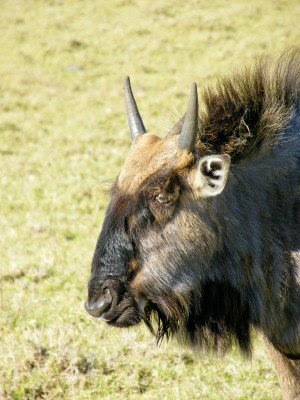 The wildebeest is also called the clowns of the veld because of their funny look. Legend has it that the wildebeest was put together from all the left over pieces when the animals were created. It has the face of a cow, the horns of a buffalo, the mane of a lion, the legs of an antelope and the tail of a horse. 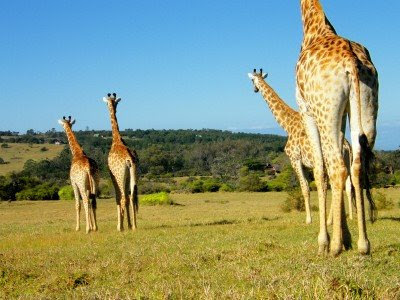 These four giraffe crossed the road right in front of us at Kragga Kamma Game Park on Sunday. (Why DID the giraffe cross the road? The chicken was having a day off.) As soon as they were on the other side they stopped dead in their tracks and stretched their necks (get it? stretched their necks) and stared down the hill. I wonder what they were looking at. For some reason people always like seeing zebra. When I used to guide tourists always had that extra bit of excitement in their tone when I showed them zebras. The common zebra around here is the Burchell's Zebra. 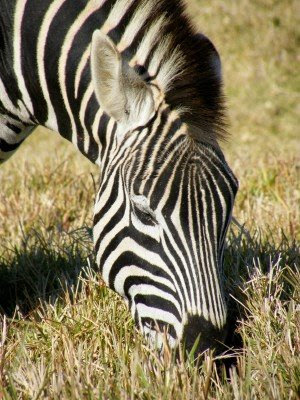 They way to recognise a Burchell's Zebra is by the brown phantom stripe they have on the white stripes. I have a question for you today. Other than turning it on its back to look, how do you see the difference between a male and female zebra? Answer: The males are black with white stripes and the females are white with black stripes. Or is it the other way around? We took the kids to Kragga Kamma Game Park on the outskirts of Port Elizabeth today. I used to go there quite often when I was a tourist guide, but hasn't been for nearly two years. Over the next few days I'll show some of the pictures I took and also give some information on the animals we saw. 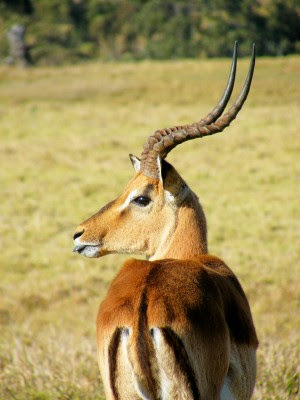 The impala is one of the dominant savanna antelope species. They are very unique in that they are both grazers and browsers. 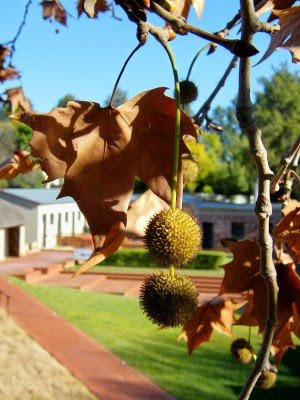 The Afrikaans name for them is "Rooibok" which refers to their red/orange colour. They have a black "M" on their backside prompting people to call them the McDonald's Buck - fast food of the veld. Impala are normally found in either breeding herds, consisting of females and one single dominant male, or bachelor herds consisting of males only. Males always have horns while females don't. 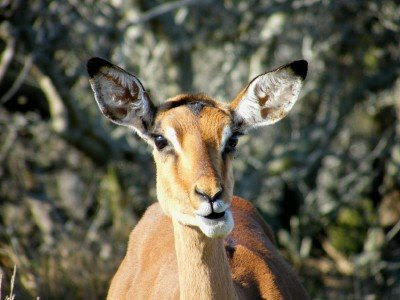 For more information on Impala, check out Wikipedia. Today is Nelson Mandela's 91st birthday. I have never met or seen this great man in real life, so unfortunately I don't have a nice photo (taken by myself) of Madiba to post. 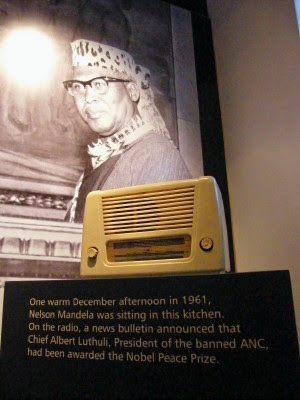 The picture below was taken at his birthplace in Qunu in the former Transkei. 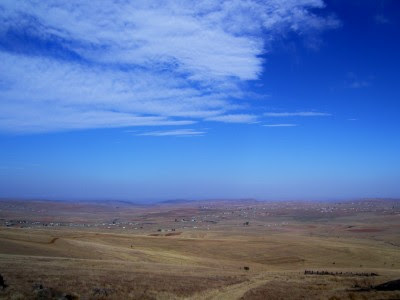 Qunu is near Mthata (Umtata) in the Eastern Cape. It was here in Qunu that Nelson Rolihlahla Mandela was born on 18 July 1918. He is also known worldwide as Madiba, an honorary title adopted by elders of Mandela's clan. 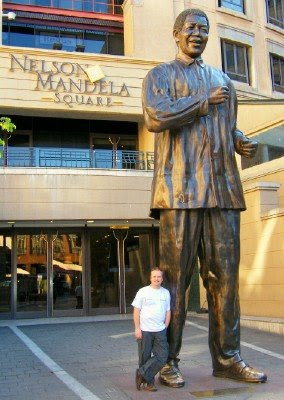 Mandela was an anti-apartheit activist, and the leader of the African National Congress's armed wing Umkhonto we Sizwe. He was convicted in the Rivonia Trail which led to him going to prison for 27 years in prison, spending many of these years on Robben Island. Following his release from prison on 11 February 1990, Mandela supported reconciliation and negotiation, and helped lead the transition towards multi-racial democracy in South Africa. In 1994 he became the first democratically elected president of South Africa. In 1993 he received the Nobel Peace Prize and is currently a celebrated elder statesman who continues to voice his opinion on topical issues. I mentioned the other day that I went to play a round of golf with my brother the other day and found some excellent specimens of bracket fungus. Somebody (I think it was Marcelle, but now I can't find where the comment was made) asked if I go to play golf with my camera around my neck. The answer is now. I carry it on my back in my backpack. *wink* I never leave my camera at home. You never know when a photo opportunity will present itself. As most of you will know, I like to see myself as more of a travel and nature photographer than a people photographer and because I don't have a top of the range camera, I have never really taken a lot of sports photos. So I tried my hand at a bit of golf photography. 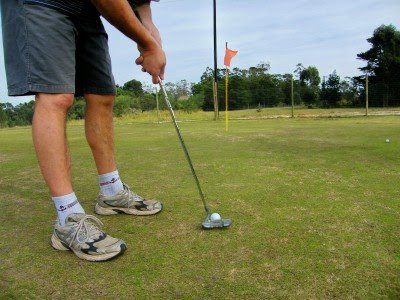 Here my Boet is teeing off on the 7th tee of the Kragga Kamma Golf course in Port Elizabeth. 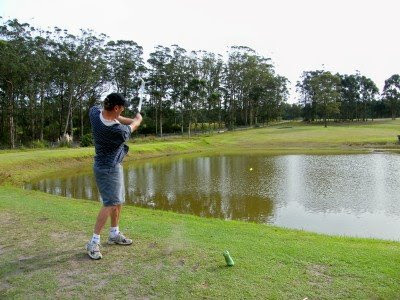 This pic was taken shortly before his ball (the yellow one you can see crossing the water hazard) went "ploep" halfway across. The second ball he lost to water that morning. 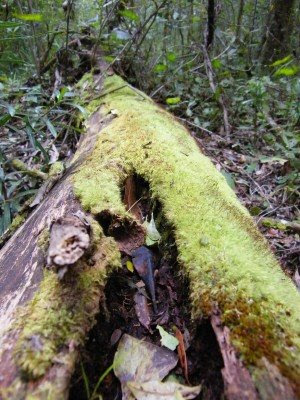 I found this moss covered old fallen tree in the Tsitsikamma forest. The moss felt like a carpet when I ran my hand across it. I took a picture of the tree without the "crack" as well, but felt it looked better with it included. 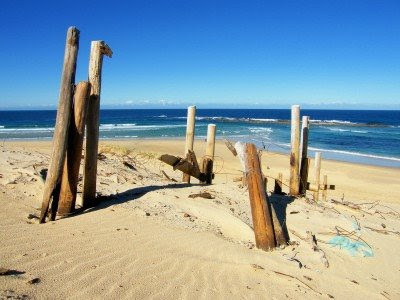 This is what's left of the walkway across the dunes at Sardinia Bay. The dune has been shifting something extraordinary over the last couple of year and not much is left of the walkway that beach users used to cross the dune with. Pamiejane did a drawing of this photo which can be see on her blog An Ordinary Life. 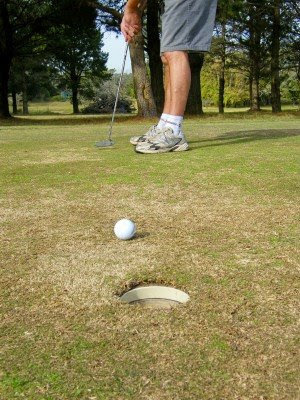 I went to play a round of golf search for the little white ball in the bush with my brother last week. 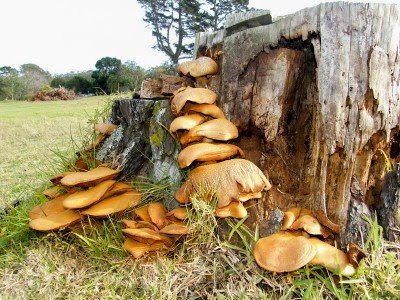 Next to the second green is a sawed off pine tree stump and it was covered in bracket fungus. I checked my The Wildlife of Southern Africa book and think it a Orange-Brown Lacquered Bracket. 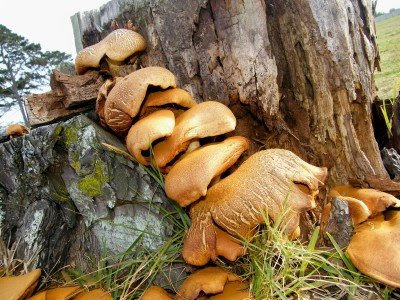 They grow up to 500mm in diameter with a cap of up to 50mm thick. It can be found singular or in groups. When they are young they are corky (which these were) while they get woody -not to be mistaken with the Toy Story cowboy- when they mature. I only realised today that it was my blogoversary last Thursday. 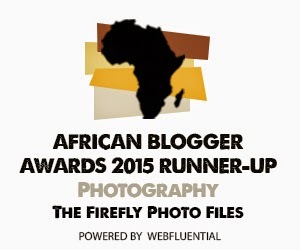 I can't believe that its been just over a year since I started blogging. Time flies when you are having fun. 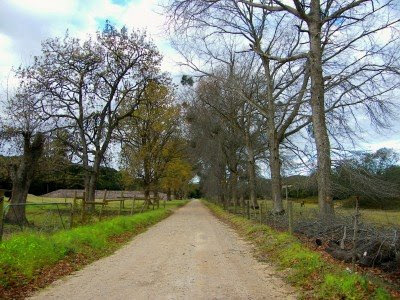 Oak Tree Lane leads from Storms River Village past the forestry houses, through the gate into Plaatbos Nature Reserve and to the beautiful Tsitsikamma forest. 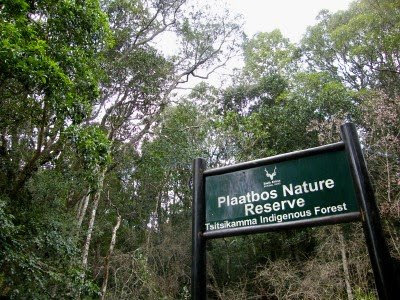 The section of indigenous forest next to Storms River Village through which the Storms River Pass runs is called Plaatbos Nature Reserve. 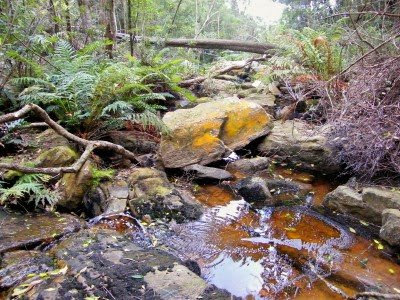 It used to be under the control of the Department of Water Affairs and Forestry, but now forms part of the Tsitsikamma National Park under the control of SANParks. The only way to get into this forest is by bicycle or on foot. Storms River Adventures offer tours down the old pass which is very informative, but there is nothing like going in all on your own to spend some time with yourself. I love forests and the Tsitsikamma forest has a certain special spot in my heart because of all the times I got to visit it with tourists. 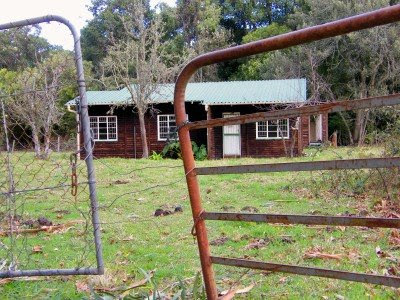 One of the houses that used to belong to the Department of Water Affairs and Forestry on the edge of the Plaatbos Nature Reserve in Storms River Village. 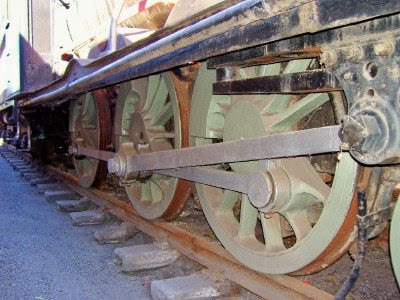 I think ownership now falls with SANParks. Some of the houses here are occupied while others like this one stands empty. 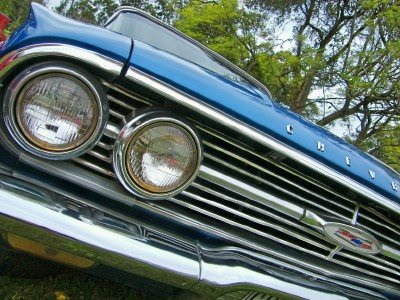 One of the most unlikely things you may expect to find in the little village of Storms River in the Tsitsikamma on the Garden Route is a Cadillac museum. 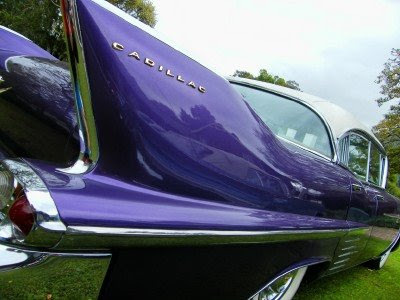 The Cadillac Shack is a small privately owned collection of these magnificent cars which can be viewed by prior appointment when in the area. 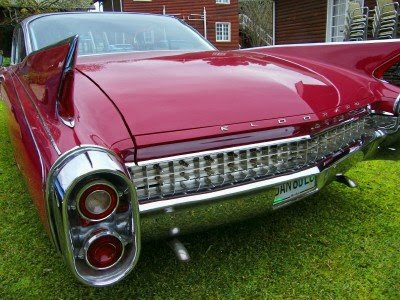 Michael Caine might tell you that the Big Three Cadillac's are the '58, '59 and '60 as they have the biggest fins of all the Cadillac's. The people of Storms River will tell you that possibly, unlike anywhere else in the world, you can see all 3 of them in their high street. Now I'm not sure if these are the actual three or only some of them, but the cars I saw the other day when I was there was magnificent. 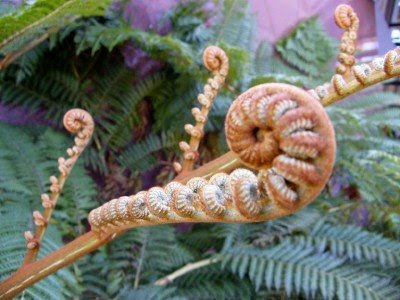 Today's post are all shots of new tree fern shoots. 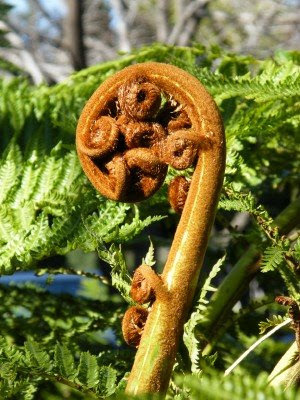 I love ferns and specially tree ferns. 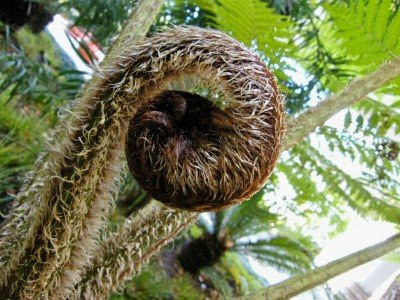 These I took in front of the hotel I stayed at in Johannesburg recently, but for me there is nothing like seeing a great tree fern growing inside an indigenous forest. 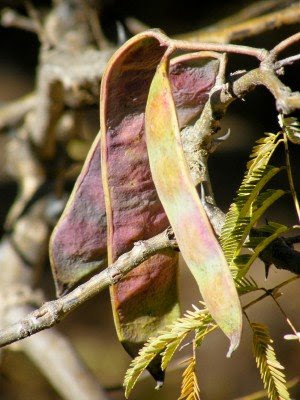 Just a couple of Random ... shots I took of different kinds of seed pods during my recent trip to Johannesburg. 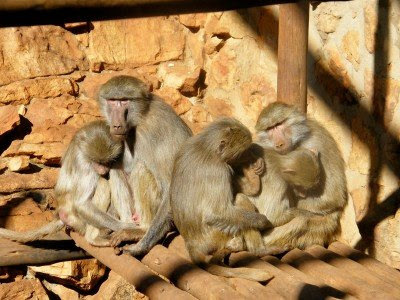 I don't think I've been to a proper zoo since I was 11 years old and we visited the Pretoria Zoo while in the old Transvaal to visit relatives (actual people and not zoo primates). 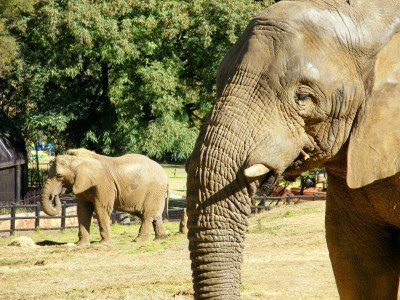 On my recent stay in Johannesburg I decided to take a free morning and head down the M1 to the Johannesburg Zoo to see what it is about. 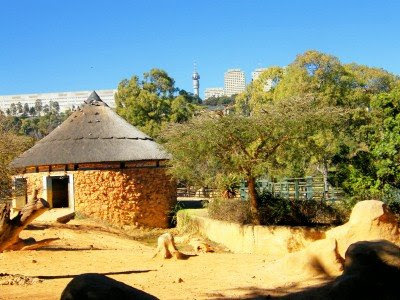 The Zoo is situated surprisingly close to the Johannesburg City Centre. 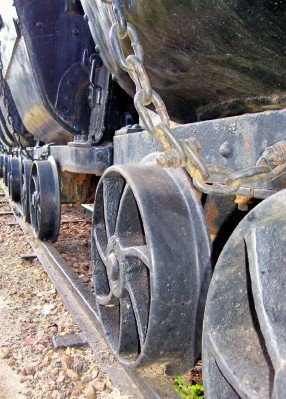 Established in 1904, it has traditionally been owned and operated by the City of Johannesburg. However nowadays it is a registered Section 21 non-profit organisation. While there I could just not get over the fact that the concrete jungle was in the background the whole time. The zoo must be an awesome place to take city kids to experience wild animals in close proximity without being divided from them by a tv screen. This was quite evident by the fact that there were hordes of school kids about oohing and aahing at the animals. Not to sound spoiled, but for me it was a little bit boring. The main reason must be that I am used to seeing most of these animals in the wild in game reserves around Port Elizabeth. How fortunate we are down here to have these places so close. But not to take away from the Johannesburg Zoo. 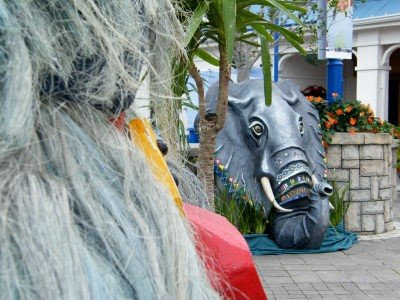 They have very good facilities and give kids the opportunity to see what they may never otherwise get to see. I did take loads of pics of the animals, but again I prefer natural pics and not walls, fences and other man made structures in the back ground. But I want to show this pic just to show that it was a bit of a chilly day. Is this cruelty to animals??? Ok, so this one is a bit tongue in cheek. But heck, its Saturday night and we don't want anything too serious. 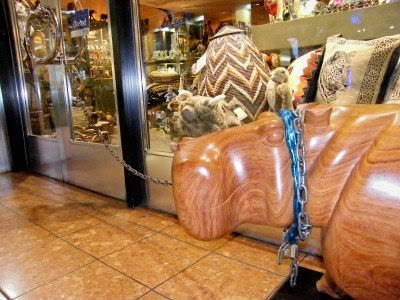 On my recent visit to Johannesburg we walked past this curio shop in the Nelson Mandela Square mall section of the of Sandton City every night after dinner. 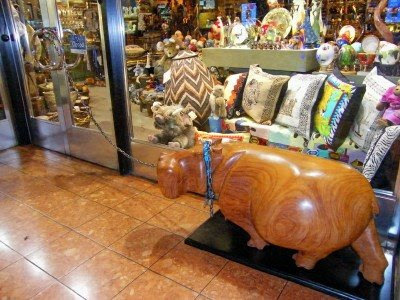 To stop would be thieves from carrying the hippo away, it gets chained to the door. I felt so sorry for it. Shame, poor hippo. While visiting Janet and Mr P (Greetings from Gauteng) for lunch during my Johannesburg trip, I asked them for suggestions on things to do while in the area. Mr P suggested I look up Liliesleaf Farm close to Sandton. 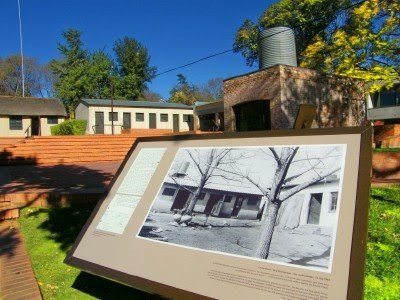 Liliesleaf Farm was purchased through an overseas contact of the SA Communist Party to be used in secret by African National Congress activists in the 1960s. A white family was put in the main house as a front while activists came and went pretending to be farm workers. 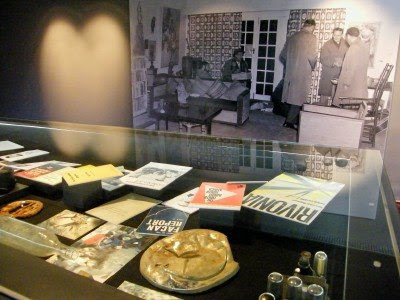 It was here that many prominent African National Congress leaders were arrested, leading to the Rivonia Trial and many of these men going to jail for more than 20 years. Nelson Mandela needed a safe place to operate from, and lived there under the assumed name of David Motsamayi as a worker in blue overalls employed by the owner to look after the farm. I stayed in a small room behind the house. 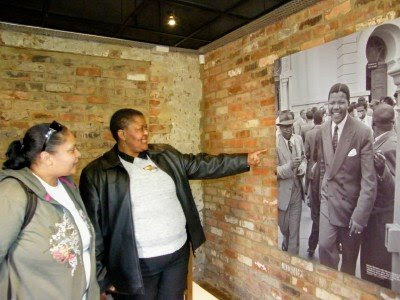 Here our guide, Jacqueine Otukile, is showing my colleague Sadie around Madiba's room. 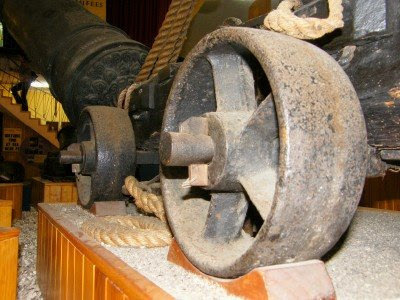 The property has only been open as a museum for the last year and contains many items and memorabilia from around the time of the events. The buildings have been restored to their earlier condition with lots of photos on display which was taken after the police raid. The visit was definitively one of the highlights of my stay in Gauteng. 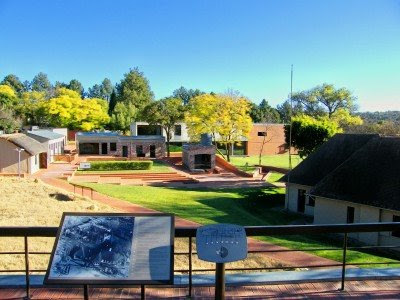 Unfortunately it seems that a lot of South Africans don't know of Liliesleaf Farm existence and most visitors are international tourists.